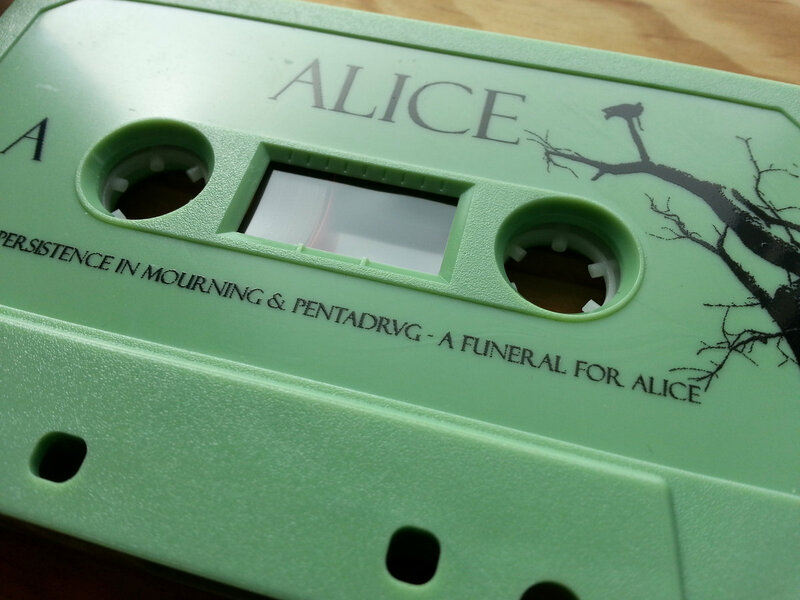 Includes unlimited streaming of Alice via the free Bandcamp app, plus high-quality download in MP3, FLAC and more. I remember her, stepping, slowly, from the jagged frame. Her skin white, her eyes cold, her thoughts eternal. She never spoke again. But when surrounded by the dark, she carved colours with her shrieks. “But I don’t want to go among mad people,"
"Oh, you can’t help that, we’re all mad here. I’m mad. You’re mad." Embraced by pine and storms, we sunk her through the looking-glass, a vision of slow, harsh realities. Her journey ended, or never quite begun. All we have left are the shards. At least she got somewhere. 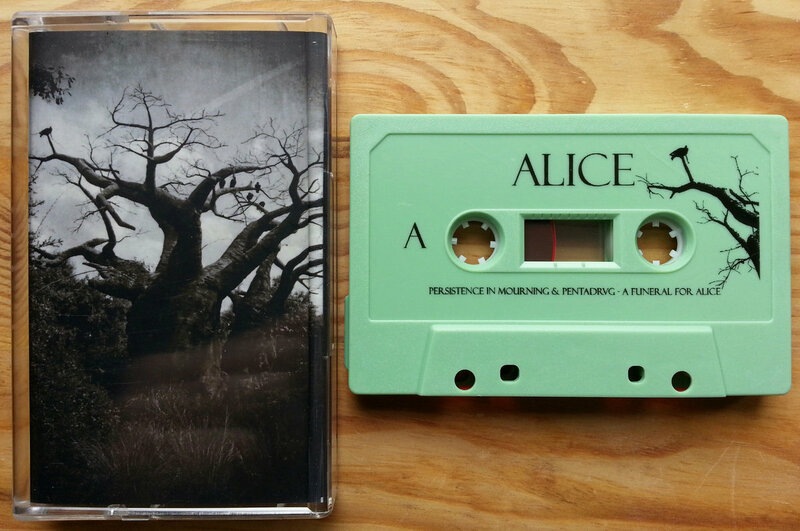 Alice is a collaboration and split recording between Persistence in Mourning and the one-woman ambient artist Pentadrvg. 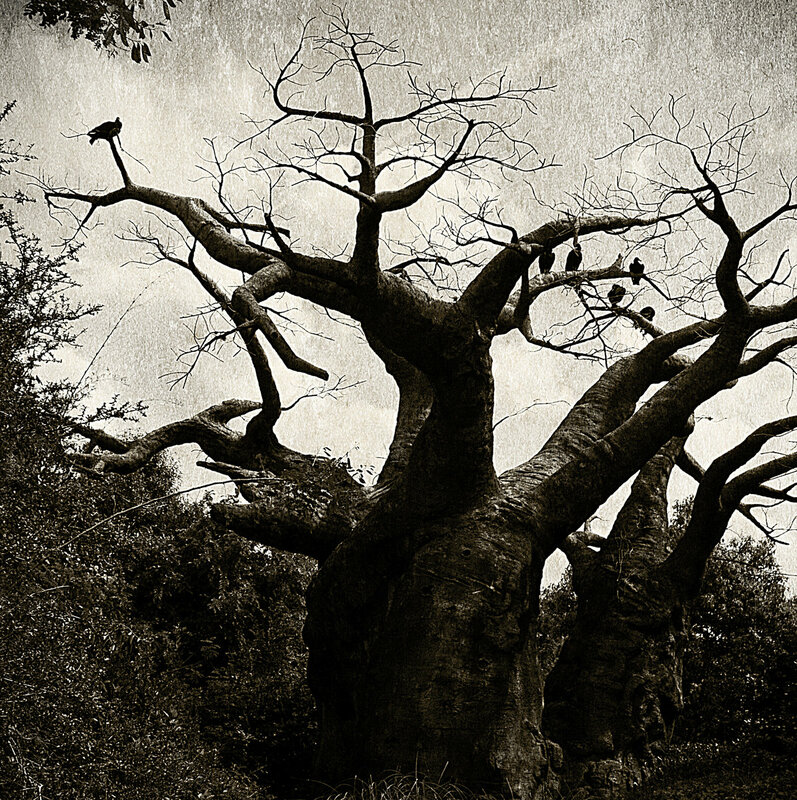 Funeral doom meets dark ambient.